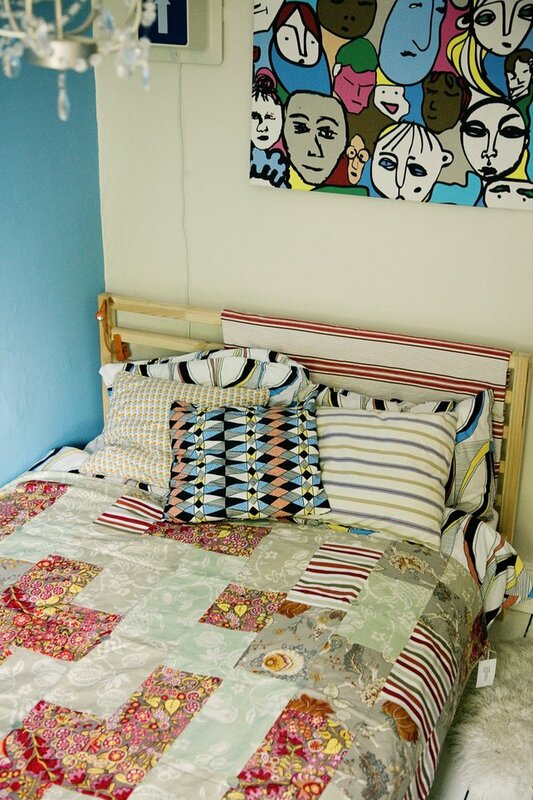 The Original Cotton Double Bed Size Patchwork Quilt came about as I wanted to extend my range of quilts and provide an lighter cotton quilt, ideal to keep any nighttime chills at bay, while have the perfect combination of summer patterns stitched into a traditional strip quilt. 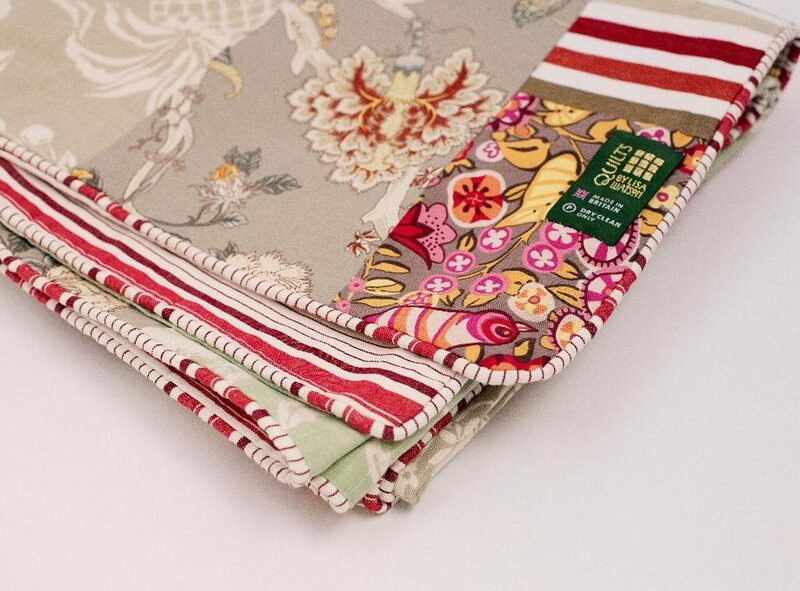 The original summery cotton patchwork quilts with seaside stripes or English roseprint on the reverse will brighten up your bed, sofa, deckchair, loveseat, swing or veranda! Want me to stitch your own unique patchwork quilt? See my one of a kind bespoke commissions page for more information. 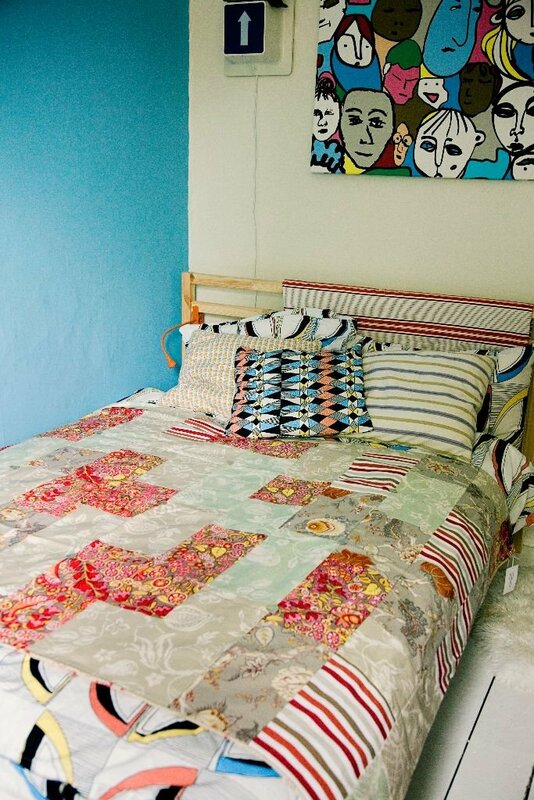 The Original Summery Cotton Double Bed Size Patchwork Quilt came about as I wanted to extend my range of quilts and provide an lighter cotton quilt, ideal to keep any nighttime chills at bay, while have the perfect combination of summer patterns stitched into a traditional strip quilt. 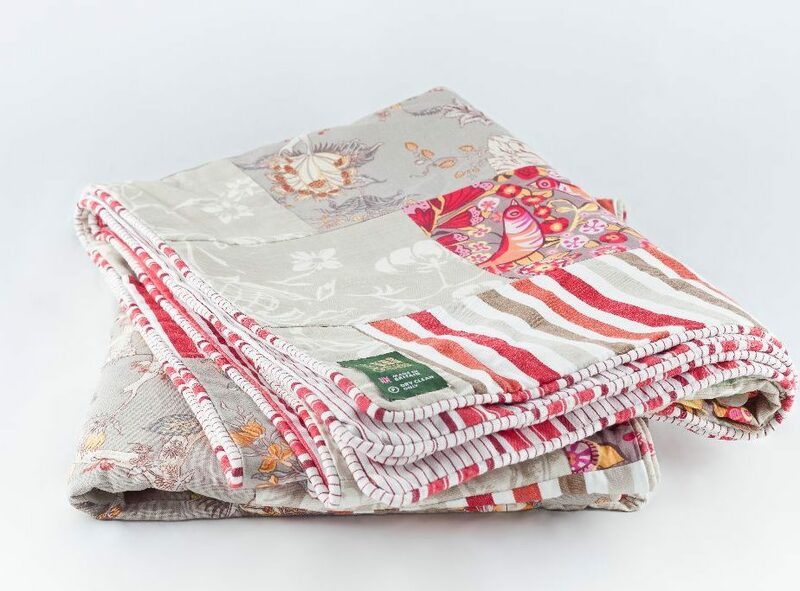 The original summery cotton patchwork quilts with seaside stripes or English roseprint on the reverse will brighten up your bed, sofa, deckchair, loveseat, swing or veranda! 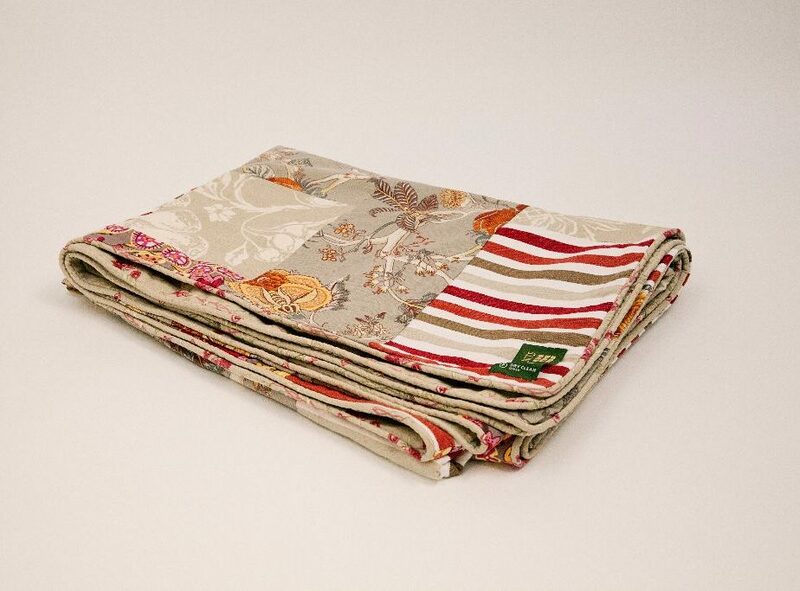 My Original Summery Cotton Quilts are £185 each and big enough to cover a double sized bed comfortably at 190 by 145cm. This price reflects the time and care taken to make each quilt, along with the quality materials stitched into each quilt. A quilt will warm your body and comfort your soul. 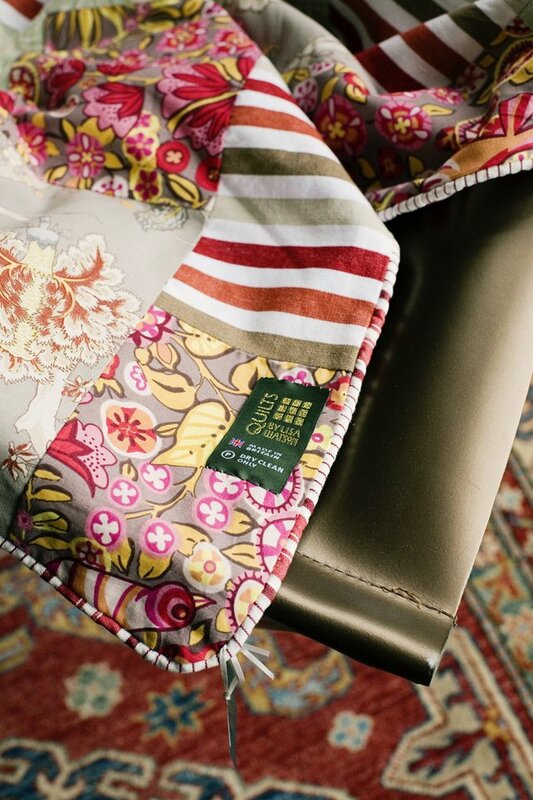 Quilt Care; This quilt is made from hard wearing British furnishing weight cotton fabrics. 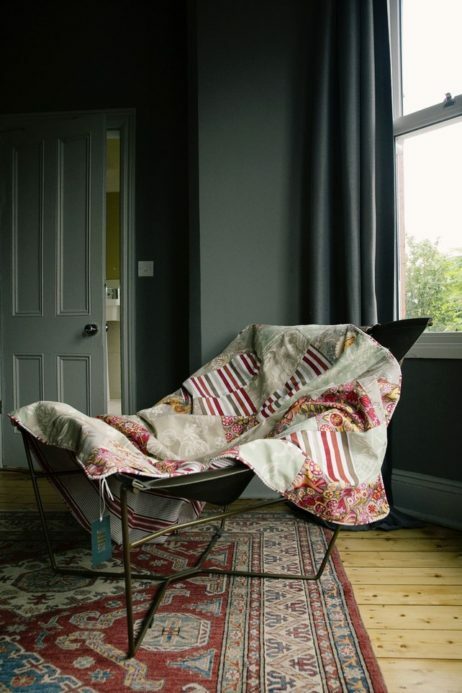 As such this quilt is robust and will wear well and even look better with age. Animal hairs can be removed by hoovering. Small stains can be removed with a damp cloth. I suggest airing this quilt periodically to refresh it. For a thorough clean, I recommend Dry Clean Only. This item will be posted to you by Quilts by Lisa Watson within 3 days of receiving payment. P&P in GB is free. If you have any quilt questions prior to purchasing, just get in touch with Lisa via the on-line contact form. Want an even more unique quilt? Contact me with your idea and we can discuss personalised bespoke quilt commission just for you. From Suzanne – Aug15 My lovely fella brought me a summer quilt for my birthday (he had heard me mention how lovely they looked). The quality is just superb and an excellent weight, looks perfect on the bed and feels great at night over the duvet. The craftsmanship and love that go into making the quilts is just wonderful, will treasure the quilt forever. (The lovely drawstring cotton bag it arrives in is a beautiful touch too).